When CATcerto composer Mindaugas Piecaitis came to the United States last year to meet me for the first time, he brought with him a very special gift from a very special young human girl who just happened to also be named Nora. It was a wonderful drawing of me having a great time at the piano. She also included a few of my siblings. 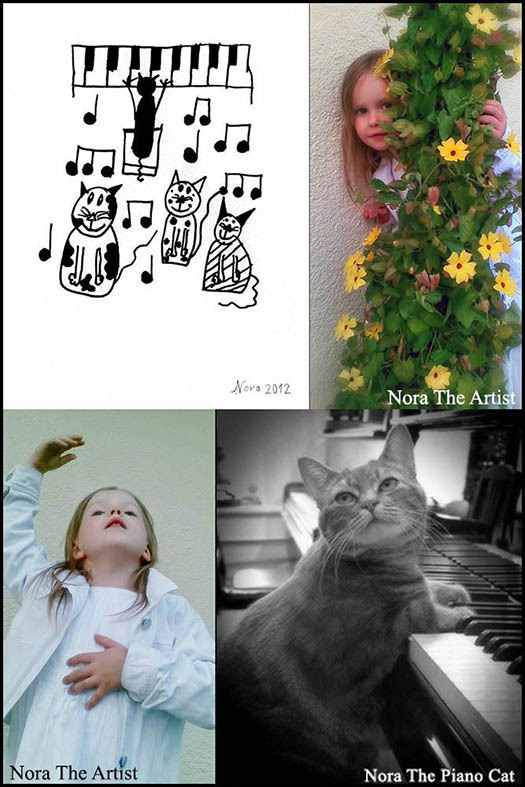 Anyway, I love the drawing, Nora, and the photos of you that Mindaugas shared with us all. Thank you so much.